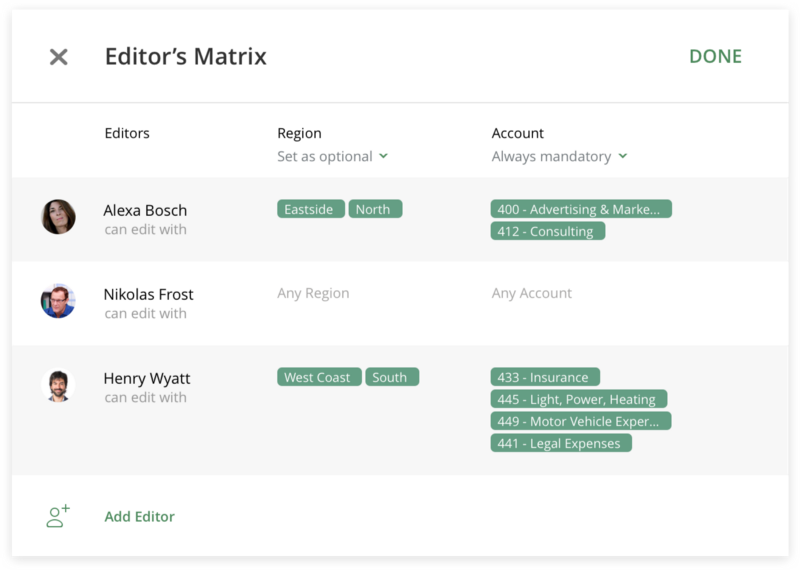 We know that a number of our users have been waiting for our brand new Bill Editing feature. We’re therefore delighted to announce we now have a Beta version available for you to explore. For many, it’s an integral part of the accounting process. Particularly for a fully digital accounting workflow when using a system that includes the OCR (optical character recognition) capability, such as Receipt Bank or Datamolino (see Xero App Marketplace for other tools). Those of you who employ such a system will know that once the OCR has processed the Bill – and before it is approved by a business manager – edits are occasionally required to the electronic version. These edits typically include splitting line items, changing accounts, or adding tracking categories. We call this step ‘review and coding’. Review and coding can occur in different systems, depending on review and approval process specifics, namely depending on who has the knowledge to do the review and coding. Let’s take a quick look at three of the most common scenarios. In this case, the reviewer needs to go into an OCR system and make the necessary changes. This is not always ideal as Reviewers won’t be notified of a Bill awaiting review (OCR systems typically don’t have the notification capability). Also, an OCR typically does not control the type of changes made to the Bill. This is not a usually preferred scenario especially in case a Business Manager is required to do the coding. A non-reviewed Bill may be pushed to Xero in a ‘draft’ status for further review and coding. However, Xero won’t notify the reviewer of the pending Bills. What’s more, reviewers will require access to Xero, which in turn means access to sensitive accounting data and the ability to make changes. While it may not be a problem for some smaller businesses, this method can present a data security issue as a business scales. The main benefit of this scenario is that more often than not the Reviewer will also be the first Approver – the Business Manager who has the knowledge of the transaction to be reviewed and authorized. This means the review and the approval steps can be combined and performed in the same system in a fully secure manner, without the need to access the accounting or other system. ApprovalMax provides timely notifications to Reviewers to make sure they are aware of Bills pending review and approval. Also, ApprovalMax makes sure Bills are routed to the relevant people, strictly in line with the review and approval authorization level. Finally, review and approval rules can be configured based on criteria such as account types or tracking categories, providing the necessary diversity in review and approval roles. It goes without saying that the time spent chasing approvals could be better spent elsewhere. That’s why our latest feature has been designed to improve the overall approval process, and prevent costly bottlenecks. Bill editing is now available in Beta. Please contact support@approvalmax.com to request it. If you’d like to find out more about ApprovalMax and its features, click here. And if you’d like to give it a go, sign up for your no-risk 30 day free trial here. Do you have further questions? Email us at info@approvalmax.com or register for our next webinar: for UK & US and for AU & NZ. Read our knowledge base on Uservoice. ApprovalMax is an innovative cloud approval workflow system that enables spend control and optimisation for organisations of all sizes. Coupled with cloud accounting software such as Xero, it enables a flexible definition of approval authorisation levels and automation of approval processes for finance and accounting. For Xero and QuickBooks Online. Accountex UK 2019 – It’s Unmissable!